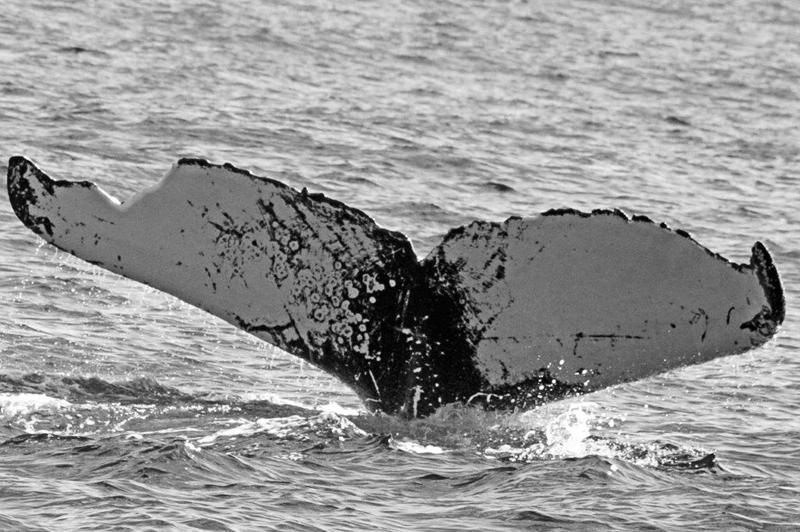 “Mid-March through April are the peak weeks for humpback whales to be spotted around Bermuda,” explained Senior Marine Conservation Officer Sarah Manuel. “They swim through our waters on their journey from their breeding grounds in the Caribbean to their feeding grounds on the eastern seaboard of North America, and for some as far north as Greenland and Iceland. “Watching these majestic animals, spouting, breaching or swimming along slowly with a calf is a thrilling experience. 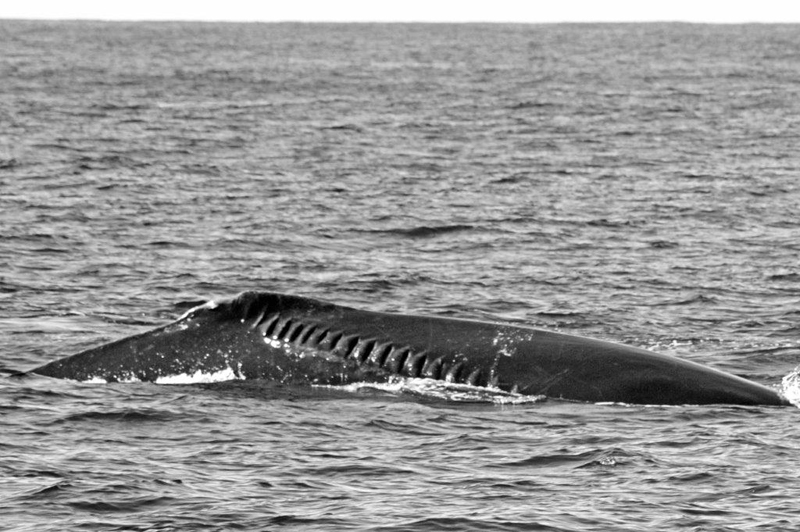 While well-meaning boaters and swimmers may not intend to be intrusive, getting too close to the whales can actually disrupt feeding, nursing and migrating behaviors, and boats, in particular, can cause unintended injuries to the whale. Regular changes in travelling direction or speed of swimming. Increased time spent diving compared to time spent at the surface. Certain surface behaviors such as tail slapping or trumpet blows. Jonah got swallowed by a whale,so can you! Looks like that tail got a chunk taken out of it. I assume that you are joking, but, just in case, you should know that a Humpback Whale could not swallow a person due to it’s extremely narrow throat. Just FYI. clearly you did not have a good education! Google Jonah and the Whale. …Um Jonah was ‘swallowed’ by a “Large Fish”… NOT a whale. Tsk! Have you guys got equipment to assist entangled whales? I am yet to see one live, I admit I would be tempted to swim with them, if I hadn’t been traumatized by ‘Jaws’ in my youth. Sounds and awful lot like …….. us! This article is laughable, who in their right mind is gonna swim with whales. Then again some people swim with sharks ………..
PBean : Ha ! Indeed, quite agree. Wales are wiser than 100 men combined they know if you mean them harm and will avoid you. Funny how humans need to be warned to not do the obvious. Chance in a lifetime! I would absolutely get in the water.